Richard Mahrholdt lived from 1878 to 1949. From 1898 to 1918 he was head of Tiroler Waffenfabrik Peterlongo Richard Mahrholdt & Sohn (Tyrol gun factory P. R. M. & son) in Innsbruck/Austria. That factory was founded by Johann Peterlongo in Innsbruck in 1854. In 1919 he founded R. M. & Sohn, which overtook the Tiroler Waffenfabrik again in 1939. After Richard Mahrholdt's death his son became head of the firm. 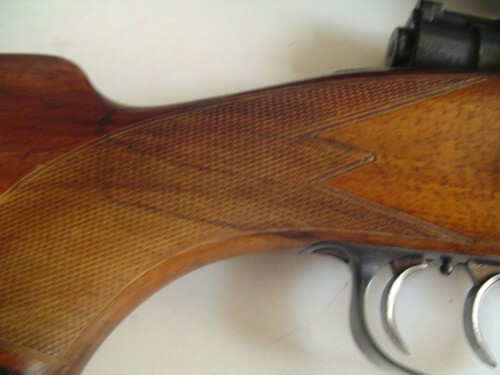 R. Mahrholdt was in good contact with the Suhl gunsmith August Schüler. In his time he was known as a good expert of gunnery. He is the author of the "Waffenlexikon", which was published in 1931 and its second edition in 1937. This book is even today in publication and revision. Mahrholdt was one of the biggest gun gurus of prewar Germany. He was also a master gunmaker with a safety drilling of his own design. His greatest legacy was the "Waffen-Lexicon", first published in 1931 followed by editions in 1937. It is still in print, but has been heavily edited so that the good info on older makers has been lost. If you can find the 2nd edition, get it. It is a treasure trove of gun lore, patents and company profiles now lost to posterity. Mahrholdt managed the Peterlongo guns works in Innsbrück, Austria from 1898-1918 after which he took over as his own under the name of Tiroler Waffenfabrik Peterlongo, Richard Mahrholdt und Sohn. After Mahrholdt's death in 1947, it was taken over by his son, Herbert, who was also co-author of later editions of Waffen-Lexikon. The Tiroler Waffenfabrik (Tyrolean Arms Factory) closed shop some time in the 1970s. 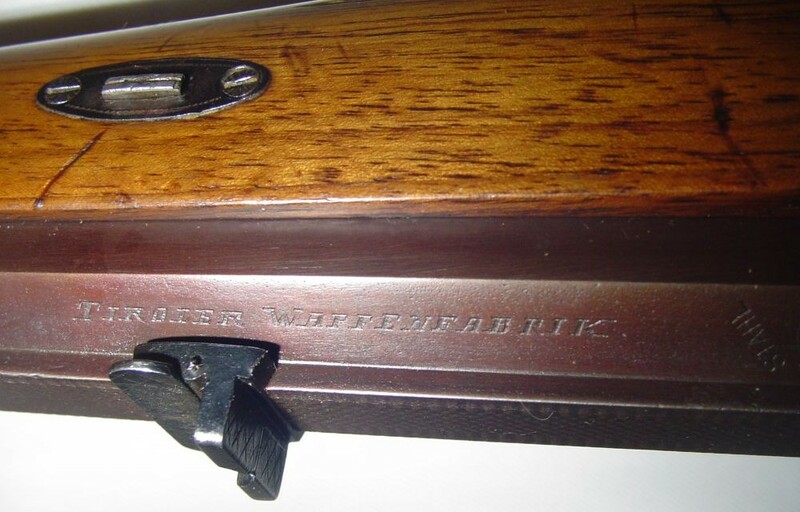 This rifle was made in the early 1900s in INNSBRUCK TIROL AUSTRIA by JOHANN PETERLONGO. 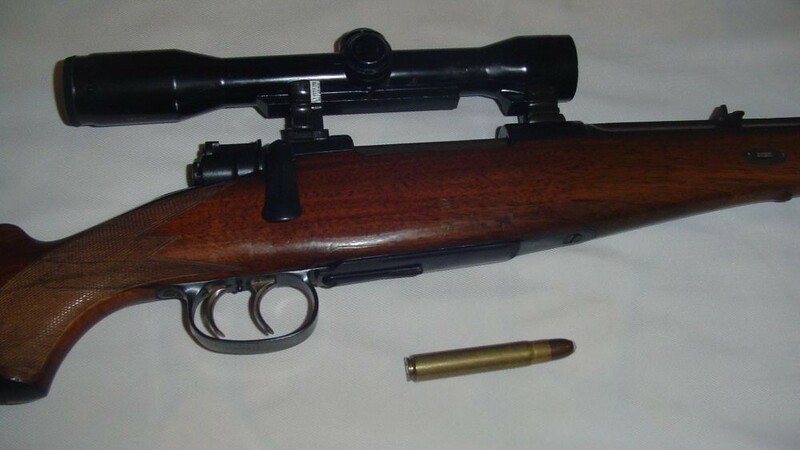 It’s a Mauser action rifle chambered for the game cartridge 11.2x72 calibre. 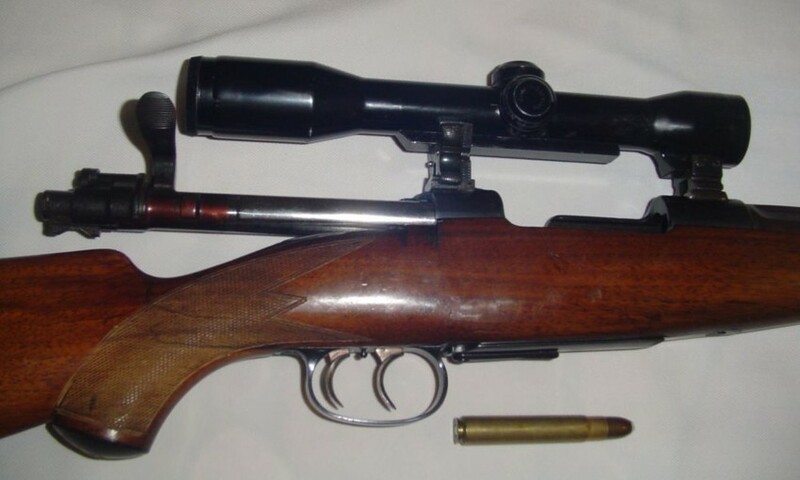 This calibre came in 400 and 375 grain bullets and was developed in ENGLAND in 1909 for use in bolt action rifles. 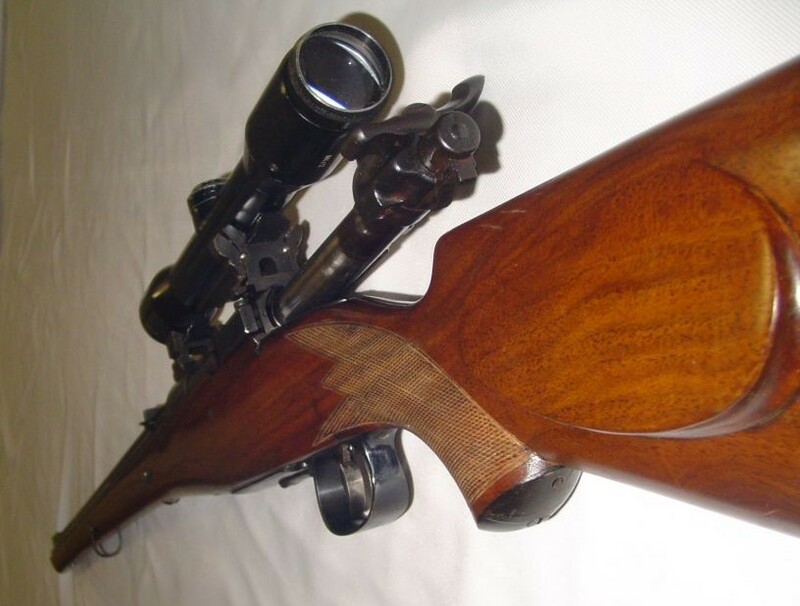 This rifle is indisputably suitable for all dangerous game. From a few years later that the 60mm case length, this cartridge was also designed to fit the 98 bolt face but using a lengthened case to hold more propellant. 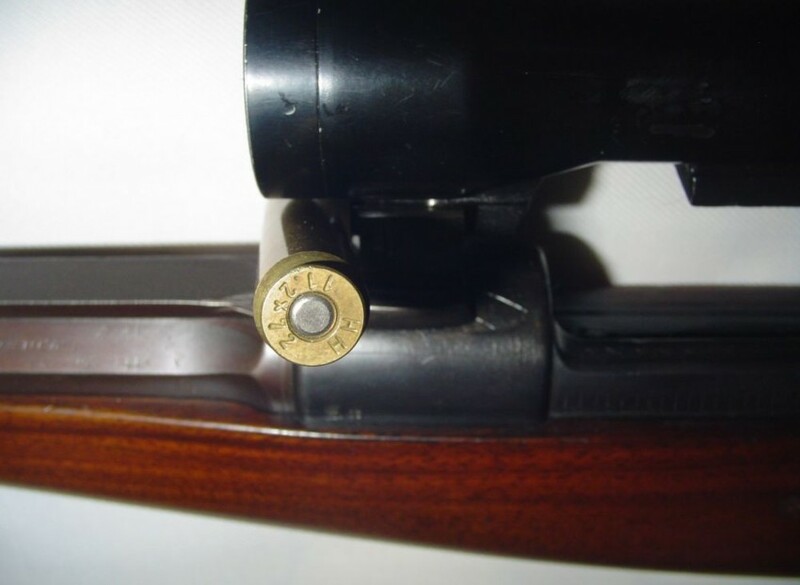 Hollow point bullet. The gunsmith, Johann Peterlongo, made rifle in different calibers. 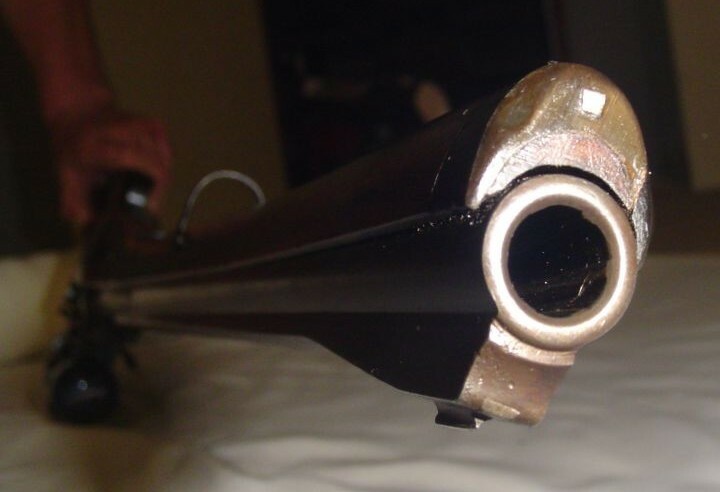 He also had some proprietary calibres of his own, as in this example. Full metal jacket with hollow point. Case has some stains. This rimmed version is much scarcer than the rimless version. Basic information about Johann Peterlongo, Innsbruck, also known as Tiroler Waffenfabrik Peterlongo, can be find in Waffem-Lexikon by Richard Mahrholdt (several editions from 1931 into the present times; at one time Mr. Mahrholdt was himself in charge of the Peterlongo firm). This firm was established in 1854. Initialy they were known for percussion revolvers as well as target rifles such as this specimen. Later they became one of the most famous Austrian gun houses. They were both gunmakers and large dealers, covering the whole Austro-Hungarian Empire (and beyond) by means of their richly illustrated mail order catalogues. 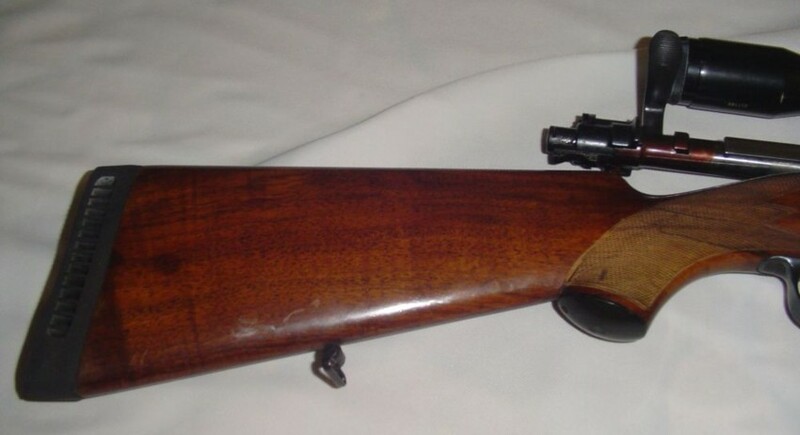 The back striking lock of this rifle is not unique, they were fairly common on Austrian percussion target rifles. 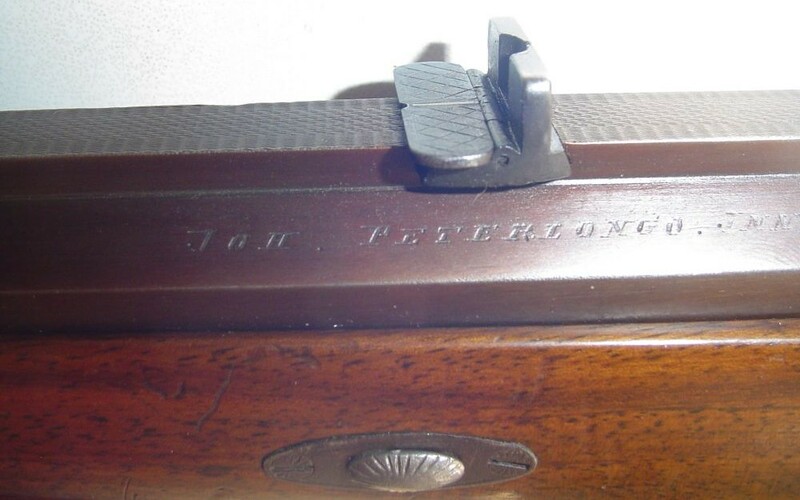 Johann Peterlongo was an Innsbruck Austria gun maker 1826 to 1898. Richard Mahrholdt & Son, also known as the Tiroler Waffen fabrik Peterlongo, Innsbruck, Austria was founded as Tiroler Waffenfabrik in 1854, and became Mahrholdt & Sohn in 1939. Mahrholdt was one of the biggest gun gurus of pre-war Germany. He was also a master gunmaker with a safety drilling of his own design. His greatest legacy was the "Waffen-Lexicon", first published in 1931 followed by editions in 1937. It is still in print, but has been heavily edited so that the good info on older makers has been lost. If you can find the 2nd edition, get it. It is a treasure trove of gun lore, patents and company profiles now lost to posterity. Mahrholdt managed the Peterlongo guns works in Innsbrück, Austria from 1898-1918 after which he took over as his own under the name of Tiroler Waffenfabrik Peterlongo, Richard Mahrholdt und Sohn. After Mahrholdt's death in 1947, it was taken over by his son, Herbert, who was also co-author of later editions of Waffen-Lexikon. 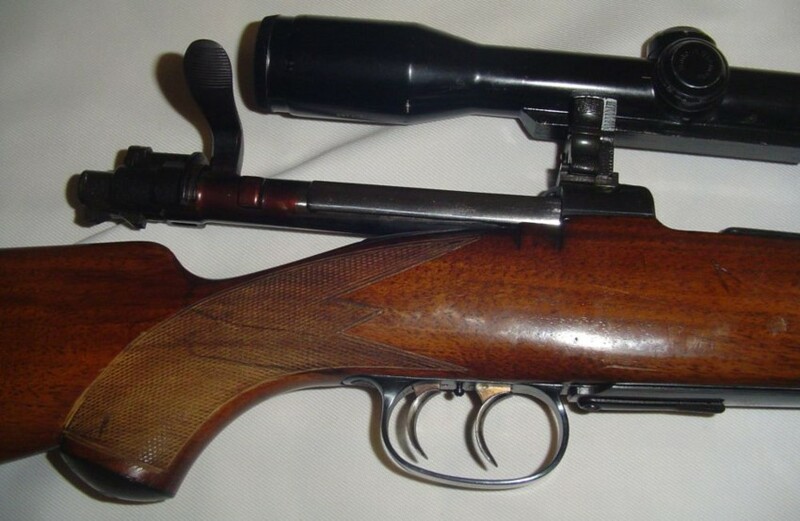 The Tiroler Waffenfabrik (Tyrolean Arms Factory) closed shop some time in the 1970s."